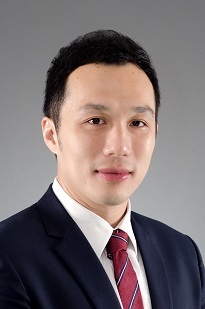 Zhi Chao is qualified to practice both Singapore and English law and has substantial experience acting for both financial institutions and major corporations on their domestic and cross-border syndicated loans, acquisition, project, structured trade, trade, property and Islamic financing transactions. Zhi Chao also has considerable experience in advising on both listed and unlisted debt offerings and establishment of medium term note programmes. Zhi Chao has been recognised as a Next Generation Lawyer in the 2017 Edition of Legal 500 under the Banking And Finance: Local Firms category for Singapore. Bookrunning mandated lead arrangers on a US$900 million syndicated revolving credit facility granted to members of the Mercuria Energy group. BNP Paribas, DBS Bank Ltd. and Mizuho Bank Ltd., as mandated lead arrangers and bookrunners and the lenders on a US$300 million multicurrency revolving credit facility for Hyflux Ltd. Mandated lead arrangers in the grant of US$274 million acquisition bridge facilities to Headland Capital Partners to fund the takeover of sub-sea service providers Kreuz Holdings Limited, a company listed on the Main Board of the Singapore Exchange Securities Trading Limited by way of a scheme of arrangement. A consortium of lenders of facilities worth US$1 billion to PT Adaro Indonesia to refinance existing financial indebtedness of the coal company, which operates the largest single coal mine in Indonesia. Mandated lead arrangers and bookrunners on a US$1.3 billion facility granted to San Miguel Corporation and the subsequent syndication and upsize of the facility to US$1.5 billion. A Singapore bank on a term loan facility granted to San Miguel Corporation to refinance part of its existing debt. Mandated lead arrangers and bookrunners on a club financing provided to a subsidiary of the Ayala Corporation to fund its working capital requirements. A Japanese bank on a US$100 million term loan facility granted to SM Investments Corporation. OCBC Bank (Malaysia) Berhad and Maybank Kim Eng Securities Pte. Ltd. as mandated lead arrangers and bookrunners on a US$200 million club financing, comprising of a conventional syndicated facility and an Islamic Murabaha term financing, for the plantation and mill development projects of a subsidiary of Genting Plantations Berhad. Asian Development Bank in its project financing granted to four separate special purpose vehicles of Moser Baer Clean Energy Limited for the construction by each special purpose vehicle of its solar power plant in India. The projects were funded by Asian Development Bank with other Indian based lenders, which all shared in the security package with Asian Development Bank. The Star Energy group of companies on the English and Singapore aspects of a US$60 million project financing granted by DBS Bank Ltd. for the group’s Kakap project in Indonesia. China EXIM Bank on its US$1.2 billion project financing to an Indonesian joint venture company, backed by completion guarantees from the direct and indirect PRC-incorporated shareholders of the joint venture company, for the development of a mine mouth coal fired power plant in South Sumatra, Indonesia. Commodities conglomerates on their various structured prepayment financing and pre-export financing arrangements with their financiers and various suppliers of raw materials located across Asia, Africa and South America. A Singapore bank on its various cross-border trade financing arrangements with multi-jurisdictional elements including the United States, the United Kingdom, China, India, Australia and the Middle East. DBS Bank Ltd. as sole lead arranger and bookrunner in the establishment of The Land Transport Authority of Singapore’s S$5 billion multicurrency medium term note programme. DBS Bank Ltd. and Oversea-Chinese Banking Corporation Limited as dealers on the first four drawdowns under the S$5 billion multicurrency medium term note programme of The Land Transport Authority of Singapore. As Singapore counsel to the joint bookrunners and joint lead managers in respect of the proposed issue of senior notes by a PRC-incorporated issuer to be listed on the HKSE. Standard Chartered Bank as arranger in respect of the establishment of the S$1 billion multicurrency medium term note programme of Overseas Union Enterprise Limited. DBS Bank Ltd. as arranger in respect of the establishment of the S$500 million multicurrency debt issuance programme of The Straits Trading Company Limited. Australia and New Zealand Banking Group Limited as arranger of both the S$575 million term loan facility granted to and S$105 million bonds issued by AREIF (Singapore I) Pte Ltd for its refinancing of “Triple One Somerset”. Australia and New Zealand Banking Group Limited as arranger of term loan facilities granted to and bonds issued by Capital Square Pte Ltd for its acquisition of “Capital Square”.